Can you confirm these amateur observations of Trachylepis wrightii? 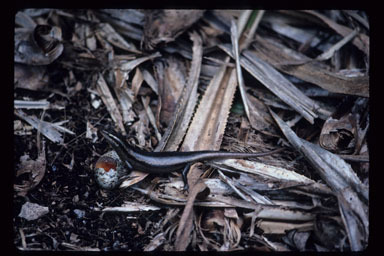 Types Lectotype: BMNH 1946.8.3.72 (formerly 70.3.10.2), Seychelles, presented Dr E.P. Wright Designated by Brygoo (1981). markers reﬂected the accepted taxonomy (Rocha et al. 2016). The most evident distinction between T. sechellensis and T. wrightii is their adult body size. Trachylepis wrightii is a ‘gigantic’ form; larger and heavy bodied, reaching 138 mm while T. sechellensis only reaches 107 mm (Gerlach, 2005, 2007). They also differ in several other morphometric and pholidotic characters (Gerlach, 2007), as well as in coloration pattern. The two species are therefore very easily distinguished in the ﬁeld, even as juveniles. Rendahl, H. 1939. Zur Herpetologie der Seychellen. I. Reptilien. Zool. Jb. Syst. 72: 255-328.